Geninne is a really talented woman and whenever I browse through her blog, I just loose track of time. Isn't this whimsical blue/white painting simply divine? Have you visited Geninne's Art Blog? Not yet?! Really? Well, go on, what are you waiting for? The above painting was taken from here. 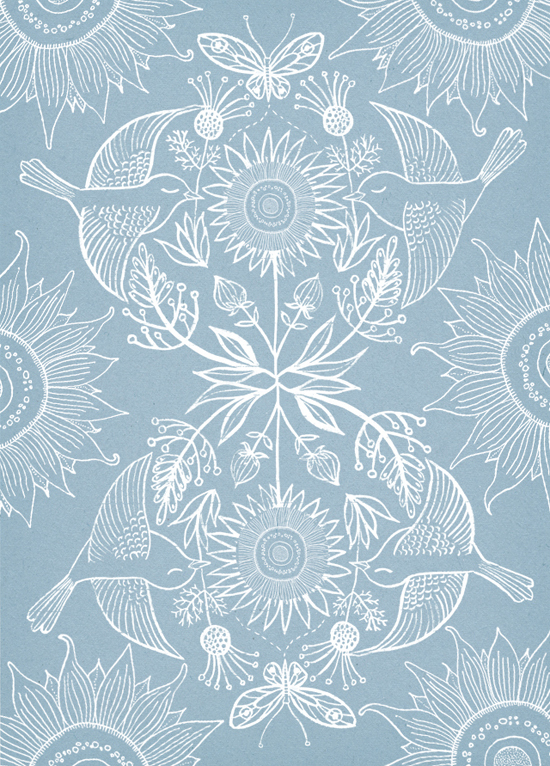 1 comment on "Geninne's white on blue"
Amazing... i have some hold pillow covers from our swedish home furniture blue store... and they 're really close to this pattern... in this precise colour... love theme like collectors!! Enjoy your blue day Eleni!